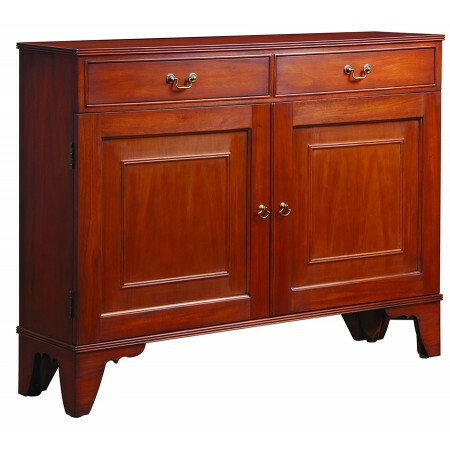 A stately console, perfect for the dining room or even in an entryway. This Narrow Console features two drawers over two doors with one adjustable shelf behind the doors. Bracket feet and brass bail pull hardware. 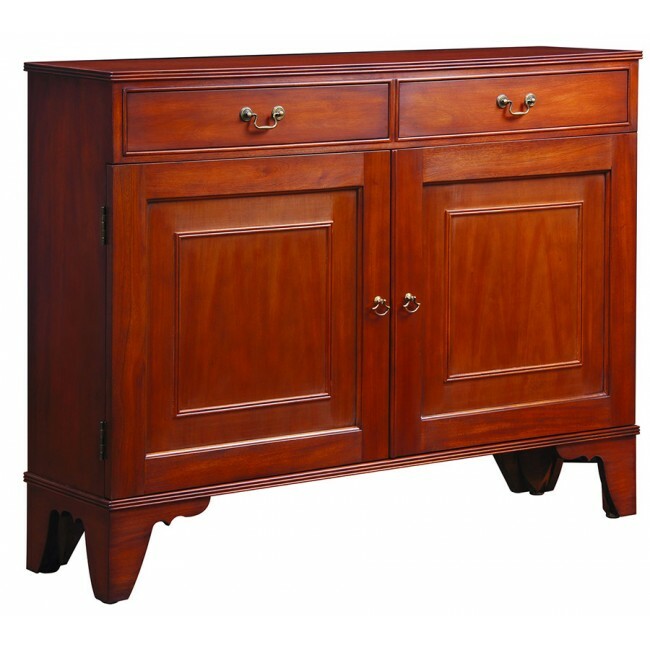 Available in solid mahogany and mahogany veneers.